When Charles Krauthammer died last week, tributes poured in from colleagues and fans of every ideological persuasion. It’s hard to think of another contemporary commentator or journalist who inspired such widespread, bi-partisan, affectionate regard. What earned him this special place in the worlds of media and politics? First, Krauthammer’s columns unmistakably reflected his character—brilliant, reasonable, witty, warm and utterly sincere. Those of us who were privileged to know him well could recognize the real Charles in every sentence he published. Second, the public marveled at his heroic personal story: a quadriplegic from age 21, he never allowed his physical limitations to interfere with his positive, passionate life. In today’s world, even when you agree with a politician it’s commonly hard to respect him. But with Krauthammer, even when you disagreed with him, you had to admire him. 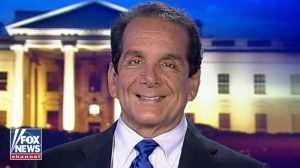 Irving Charles Krauthammer (/ˈkraʊthæmər/; March 13, 1950 – June 21, 2018) was an American political columnist. A conservative political pundit, in 1987 Krauthammer won the Pulitzer Prize for his column in The Washington Post. His weekly column was syndicated to more than 400 publications worldwide. While in his first year studying medicine at Harvard Medical School, Krauthammer became permanently paralyzed from the waist down after a diving board accident that severed his spinal cord at cervical spinal nerve 5. After spending 14 months recovering in a hospital, he returned to medical school, graduating to become a psychiatrist involved in the creation of the Diagnostic and Statistical Manual of Mental Disorders III in 1980. He joined the Carter administration in 1978 as a director of psychiatric research, eventually becoming the speechwriter to Vice President Walter Mondale in 1980. In the late 1970s and early 1980s, Krauthammer embarked on a career as a columnist and political commentator. In 1985, he began writing a weekly editorial for The Washington Post, which earned him the 1987 Pulitzer Prize for Commentary for his “witty and insightful columns on national issues.” He was a weekly panelist on the PBS news program Inside Washington from 1990 until it ceased production in December 2013. Krauthammer had been a contributing editor to The Weekly Standard, a Fox News Channel contributor, and a nightly panelist on Fox News Channel’s Special Report with Bret Baier. Krauthammer received acclaim for his writing on foreign policy, among other matters. He was a leading neoconservative voice and proponent of United States military and political engagement on the global stage, coining the term Reagan Doctrine and advocating for the Gulf War, Iraq War, and enhanced interrogation techniques of suspected Islamist terrorists.